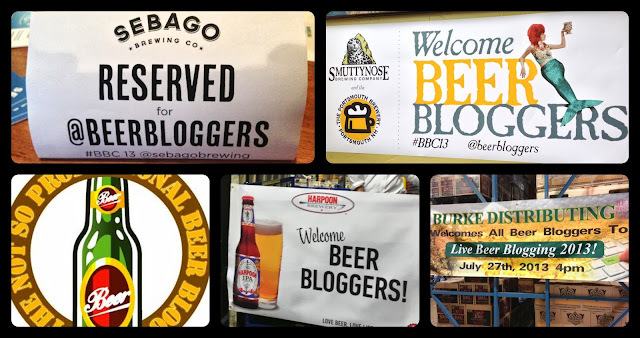 The Not So Professional Beer Blog: Welcome Beer Bloggers! The 2013 Beer Bloggers Conference is over and now a memory (slightly hazy, for most). Completing its fourth year, the team from Zephyr Adventures organized an amazing conference that brought beer writers from across the country through breweries, brewpubs, taprooms, and distribution warehouses in and around three great Northeast beer cities—Boston, Portland (Maine), and Portsmouth. Now, you might think a conference for Beer Bloggers is an excuse for beer writers to travel to different cities and drink copious amounts of good beer. Well, you’d be correct! But it’s more than that. It gives us better insight into who makes our beer, how they make it, and how they get it to us. If you’re reading this, these are things that are important to you too. The conference is also about networking. I’ve attended three of these conferences and it’s always great to reunite with old friends and make new ones. During the next few weeks, I’ll be sharing some of my conference experiences on the blog. But first, I’d like to thank all of great organizations that sponsored and hosted us throughout the conference. These people opened their doors to us, fed us, and shared more beer than we could possibly drink. They treated us like kings and queens. If you write a beer blog, you should be going to this event. 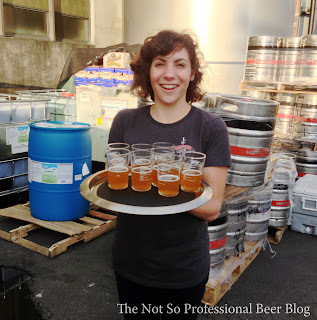 If you don’t write a beer blog, you should considering starting one up. We’d love to see you next year! Lastly, a huge thanks to Zephyr Adventures for organizing the conference. Your team does an amazing job!